As far as regularly fried Crisps go, these were as crunchy as Crisps get. They obviously won’t have the hard and firm crunch of Handcooked Crisps, but they did not smash into an immediate pulp like many Crisps of this nature do. The degradation was such that it was fairly evenly paced. 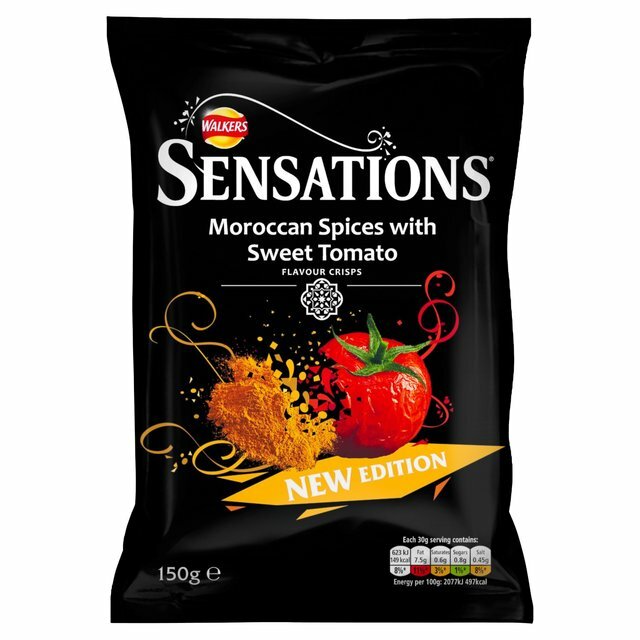 For a Crisp with such an exciting sounding flavouring, these were relatively ordinary looking in texture. There were the usual oil blisters, curls and bends. There was some minor seasoning visible. A Nose Plunge Test revealed a mild and spicy aroma that was not easily identifiable. This was obviously encouraging in its uniqueness. The flavour certainly included an exotic spiciness, but it was very mild. There was nothing hot and spicy about it, but it was a warm and efficient taste that certainly featured Tomato, but nothing else readily identifiable.